This will take us a while. At the end of Luke’s Gospel we read, “Then Jesus led them out as far as Bethany, and lifting up his hands he blessed them. While he blessed them, he parted from them and was carried up into heaven” (Luke 24:50-51). So Jesus’ final words were a blessing of some kind. Keep that in mind. Now consider what we’re told in Acts 1:7-9: “He said to them: ‘…You will receive power when the Holy Spirit comes on you; and you will be my witnesses in Jerusalem, and in all Judea and Samaria, and to the ends of the earth.’ After he said this, he was taken up before their very eyes, and a cloud hid him from their sight.” Are those words Jesus’ last words? The ascension took place after Jesus said them, but not necessarily immediately afterwards. In Luke 24:51 we’re told Jesus blesses the disciples while in the very act of ascending, and it would be difficult to characterize the words in Acts 1:8 as a blessing. So the search goes on. 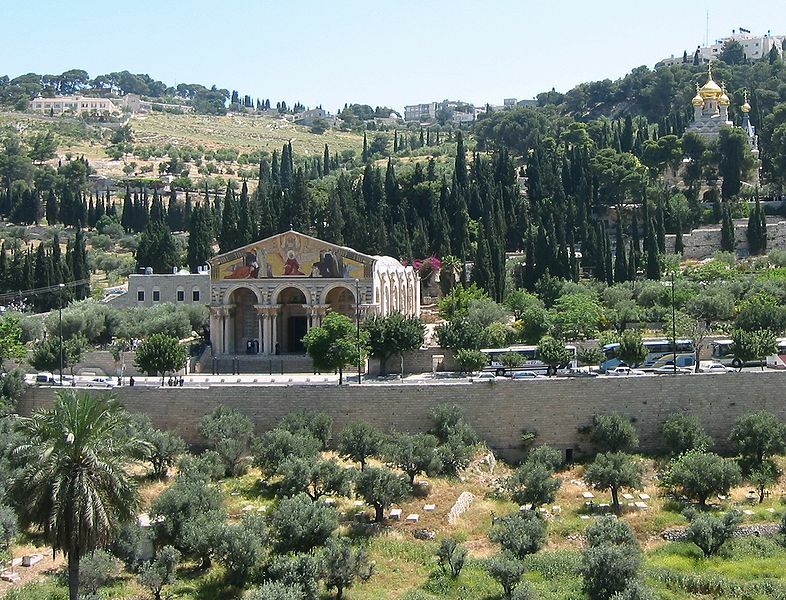 At first sight the words of the Great Commission, at the end of Matthew’s Gospel, seem to be out of contention because Matthew 28:16 speaks of a mountain in Galilee, rather than the Mount of Olives (pictured above), which was the site of the ascension according to Acts 1:12. But a closer look at the text shows that Matthew 28:18-20 doesn’t necessarily describe the same resurrection appearance as 28:16-17. Verse 18 begins, “And Jesus came and said to them…”, which could easily be the introduction to a new appearance. (Imagine a gap above verse 18 separating 18-20 from 16-17, and imagine the translators’ heading “The Great Commission” sitting above 18-20 instead of 16-20. You wouldn’t necessarily assume we were still in the same geographical location in 18-20 as 16-17, would you?) With Matthew 28:18-20 now back in the running, it’s possible to make a strong case for those verses being Jesus’ final words. They finish with a blessing (“I am with you always, to the end of the age”), as required by Luke 24:51; and the command to go makes them more “last wordsy” than the factual information given in Acts 1:8. So here they are: Jesus’ last words while physically present in our world. Are you playing your part in this glorious global project? Go and make disciples of all nations, baptizing them in the name of the Father and of the Son and of the Holy Spirit, and teaching them to obey everything I have commanded you. And surely I am with you always, to the very end of the age.